Warner Brothers drops a brand new trailer for Gal Gadot's Wonder Woman, based on the iconic DC Comics character and set in the DC Cinematic Universe forged by Zach Snyder and company with the films Superman: Man of Steel, Batman Vs Superman: Dawn of Justice and their latest release Suicide Squad! The newest trailer for Wonder Woman doesn't move very far from our last glimpse into this world. The vistas are still breathtaking, the banter is snappy when called for and the action sequence slow motion is extra slow-motiony! 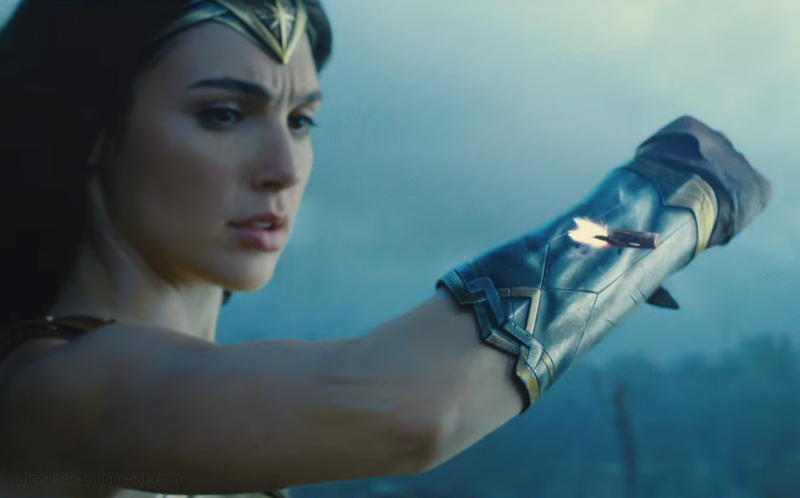 Wonder Woman hits movie theaters around the world next summer when Gal Gadot returns as the title character in the epic action adventure from director Patty Jenkins. Before she was Wonder Woman, she was Diana, princess of the Amazons, trained to be an unconquerable warrior. Raised on a sheltered island paradise, when an American pilot crashes on their shores and tells of a massive conflict raging in the outside world, Diana leaves her home, convinced she can stop the threat. Fighting alongside man in a war to end all wars, Diana will discover her full powers... and her true destiny.